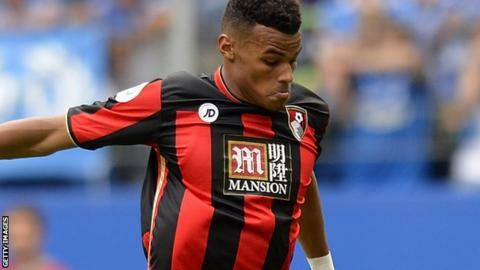 Bournemouth defender Tyrone Mings hopes he and striker Callum Wilson can support each other as they recover from serious long-term knee injuries. Both could miss the rest of the season with ligament damage. Mings, 22, is set to be out for between nine and 12 months with Wilson, 23, ruled out for at least six months. "Hopefully we help each other through the tough months ahead and hit milestones in our recovery together," Mings told the club's website. "It's going to take a long time, but it will be encouraging to do rehabilitation with someone else alongside me." Record signing Mings arrived at the Cherries during the summer for a reported £8m from Ipswich Town. He suffered torn anterior and medial ligaments following an injury just six minutes into his Premier League debut against Leicester. Wilson, who has scored five goals in seven Premier League games, ruptured the anterior cruciate ligament in his right knee against Stoke on Saturday and will have an operation next week. The Cherries have also been hit by Max Gradel's cruciate ligament tear in his knee, which could keep him out for the remainder of the year. "It's the worst luck but it's another opportunity for people to step up in our positions and the manager will give them every encouragement," Mings added.